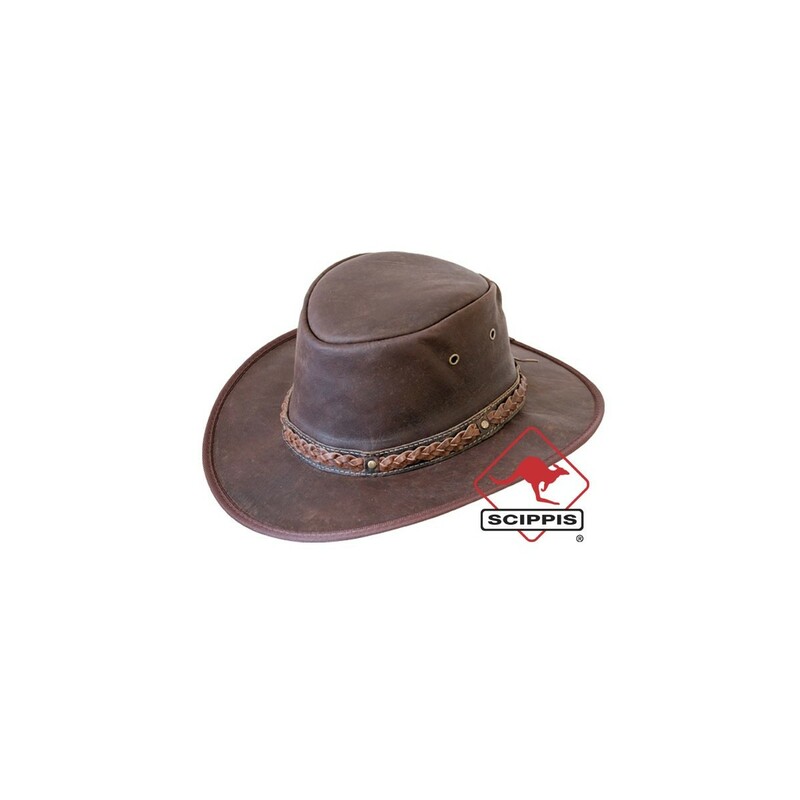 Exclusive Scippis kangaroo leather hat. Pretty cool hat with a narrow brim. 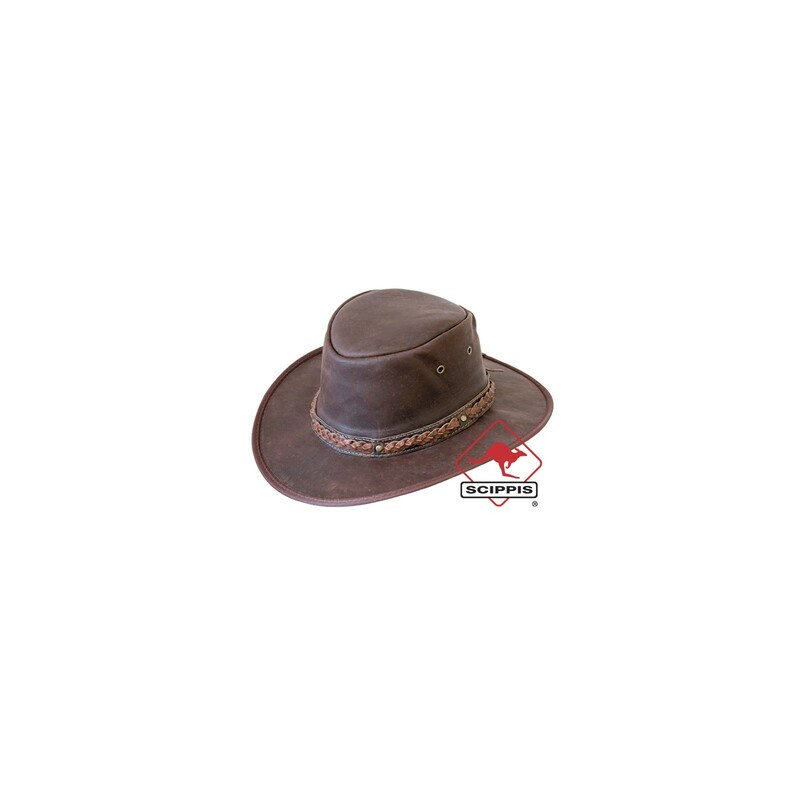 Available in brown (as showed) leather. in any shape . Braided hat band.